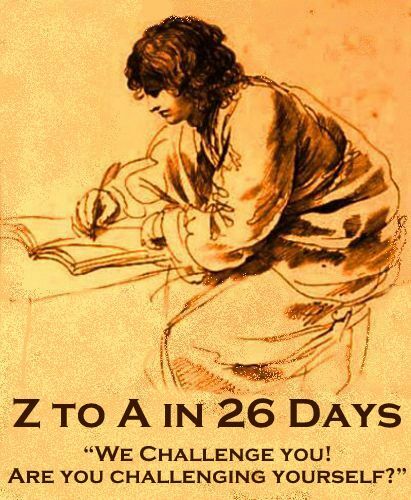 August 3, 2016 November 16, 2010 by Vinay Leo R.
Taking up the Z to A in 26 Days Challenge? The details are HERE, and the challenge enters the second half with Round 14 and M today, but you are welcome to start now and proceed to further letters. The letter M theme has begun at 12 AM Indian Standard Time (Click to view the Time) on 16th November 2010 and will continue till 01:30 PM Indian Standard Time on 17th November 2010.. All participants can share their M themed post links here in the comments section. If your comment has a timestamp on 16th November 2010, or before 01:30 PM on 17th November, your entry is officially considered as part of the challenge! If your comment doesn’t come immediately, it’d be because you need to have a prior approved comment at the blog. I’ll moderate them as soon as I can, and you should have no problems after that. Happy Challenge to you all. Have an inspired November! u shd 😛 teacher’s demand, Tweety 😉 will read ur mirage soon..
Congratulations on having reached half-way. As we reach half way mark, if I reflect back, Its incredible fun. A question to myself,is the steam running out? My M is a murder..
Congratulations to you on this day of double success..
and all the luck to all of us at this challenge to finish successfully too! here’s my M.. very early for a change!! Thanx 4 dropping by ! well if midway is reached, then we know just how much we need to go to reach the destination. I have been concentrating on writing that i have lost count of alphabets !! What an accomplshment! Congratulations. So proud of you. Mine is here. I dunno why the comment din’t show up. Leo, I am not sure on this, I came to check your response and found my comment missing.. Will this count? I’ve not deleted your comment or any other’s, SiS. perhaps you commented when the net was down or something. I don’t think it’ll count, though I might be having another CATCH UP SUNDAY. If I do have it, you can share it again there.